The Mexico National Team will take on Paraguay on Tuesday, March 26 at 7:00pm at Levi’s® Stadium. A crowd of approximately 45,000 is anticipated. Event information can be found on the Levi’s® Stadium website at www.levisstadium.com. • If you are driving a personal vehicle, input your address for step-by-step directions to each lot. Note, other map programs and/or apps may not take road closures into consideration. • Parking lots will open at 1:30pm, with stadium gates also opening at 5:00pm. Pre-paid parking passes can be purchased at www.levisstadium.com. Please note, ADA parking will be available in Red Lot 1. • At approximately 1:30pm, Fairway Glen Drive and Eisenhower Drive will be closed on the east side of Lafayette Street. Residents will be encouraged to use Hogan Drive or Calle de Primavera for access to their street(s). Bicyclists will be rerouted via Agnew Road, Lakeshore Drive, Gianera Street, the VTA Great America Train Station Parking lot, Stars and Stripes Drive and service road/trail along the rear of the Tasman Parking Garage, and then back to the San Tomas Aquino Creek Trail. Pedestrians will be rerouted via Agnew Road, Mission College Boulevard, America Parkway past the Santa Clara Convention Center, and then back to the San Tomas Aquino Creek Trail. • Counterflow is planned – northbound and southbound – to assist with exiting the parking lots following the event. This will effect Highway 237 at Great America Parkway; the highway off-ramps will be closed. Great America Parkway will be closed northbound from Highway 101 and southbound from Highway 237. Please follow all written and verbal instructions to assist with a smooth egress. • In an effort to better serve residents, businesses and event goers, effective immediately new procedures have been developed to report and track concerns associated with Levi’s Stadium. To report a concern, dial (408)615-2280. Callers will be provided four options – Code Enforcement, Neighborhood Protection Team, Non-Emergency Assistance and City Manager’s Office. Emergency situations should be reported by calling 9-1-1. Do NOT use social media to report issues requiring police, fire or medical response as it is NOT monitored 24/7, 365. 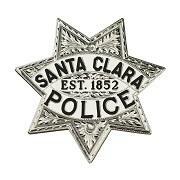 For media inquiries, please call Lieutenant Todd Cummins, 408-615-4865.